Richard Gelber is a Senior Managing Director with RKF specializing in landlord and tenant representation. 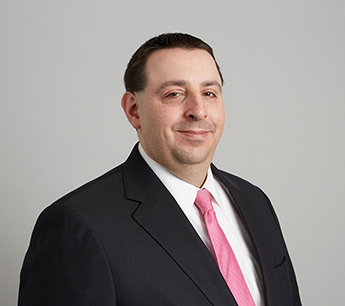 Over the years, Richard has successfully worked on behalf of landlords, including Vornado Realty Trust, Silverstein Properties, KLM Equities, The Related Companies, Manocherian Brothers, The Albanese Organization, Extell Development Company and The Witkoff Group. Some of Richard’s accomplishments include leasing 15,000 SF to Equinox for their Blink Fitness concept at 692 Broadway; 10,000 SF at 920 Broadway to Flying Tiger; 11,700 SF at 956 Second Avenue to The Smith restaurant; and 7,600 SF to Bonobos at 95 Fifth Avenue. Richard has also assisted many retailers with their Manhattan retail real estate requirements, including The Regis Corporation (Jean Louis David, Super Cuts and Vidal Sassoon), Jenny Craig, L’Occitane en Provence, Oliviers & Co, UFC Gyms, Chick-fil-A and McDonald’s. Additionally he has also helped Citibank N.A. and Cohen’s Fashion Optical secure several locations throughout Manhattan. Prior to RKF, Richard worked at Retail Development Partners, where he was responsible for the retail leasing of Millennium Partners’ urban area portfolio. Richard earned a Bachelor of Science degree in Business Law and Public Policy from Syracuse University’s School of Management. He is a licensed salesperson in the state of New York and is a member of The International Council of Shopping Centers and the Real Estate Board of New York.